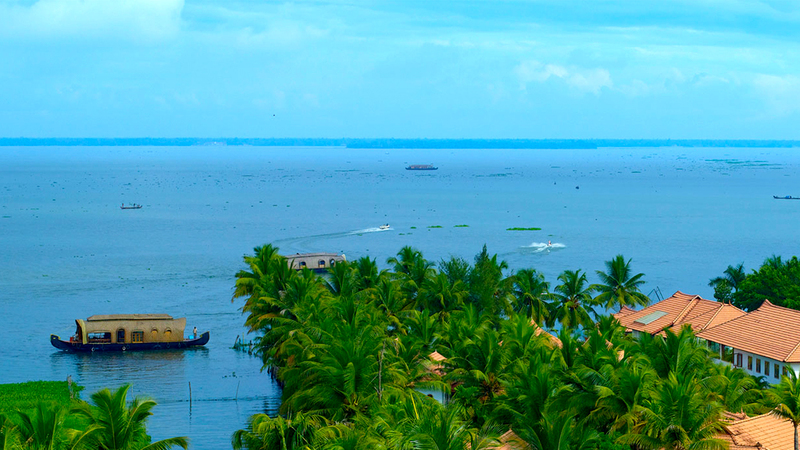 Vast expanses of verdant vegetation interspersed with mountainous terrain, rivers and waterfalls, scenic stretches of beaches lined by coconut palms, and the intricate network of backwaters of Kerala offer an ideal setting for a romantic getaway. While it is definitely possible to appreciate the beauty of this land from the comforts of luxury hotels, houseboats or rustic resorts that dot the terrain, relaxing at the lake fronts or infinity pool decks, and indulging in the best of ayurvedic treatments and massages in the in-house Spas, spending quality time at some of the most romantic spots here is bound to make the trip truly special. Here are few such exceptionally stunning locales that couples are likely to find quite appealing. A trading hub of yesteryears, Poovar continues to be popular even today as one of the most picturesque and pleasant tourist spots, especially for couples on their honeymoon. 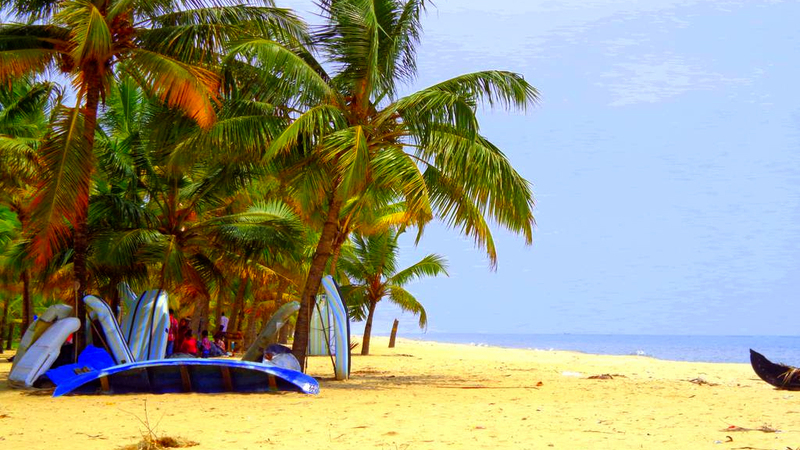 The beach of this fishing hamlet lies between the Sea and the Neyyar River, and village itself can be reached by crossing the waters. The estuary right opposite the island is where the river, lake, sea and beach meet at a single point, offering stunning views of the terrain. Staying at the floating cottages or resorts here can prove a tranquil experience for those who seek privacy and solitude. Much appreciated for its enchanting surroundings, Kumarakom village on the Vembanad Lake is an exotic locale for a honeymoon. Lake-facing resorts, vast blue expanses of the impressive Lake lined by colourful vegetation and coconut groves, intricate network of lagoons navigable on plush houseboats or country boats, a bird-sanctuary in the vicinity visited by migratory birds including the Siberian Crane make this place a piece of haven for nature lovers. 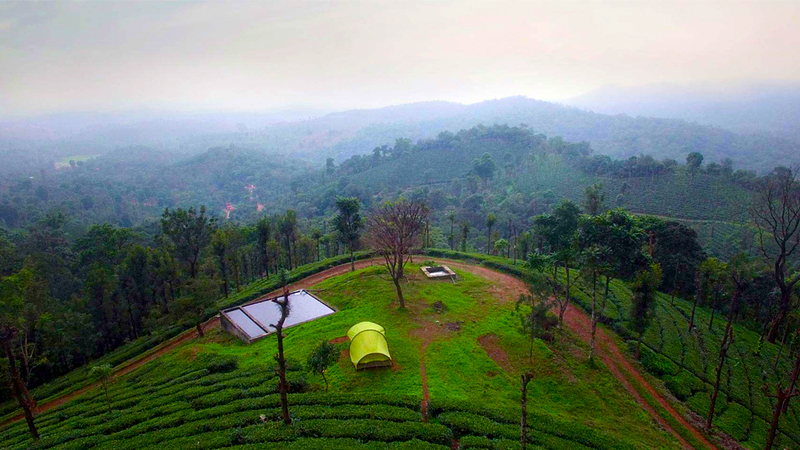 This hill station set in the Western Ghats is yet another honeymooner’s paradise in Kerala. 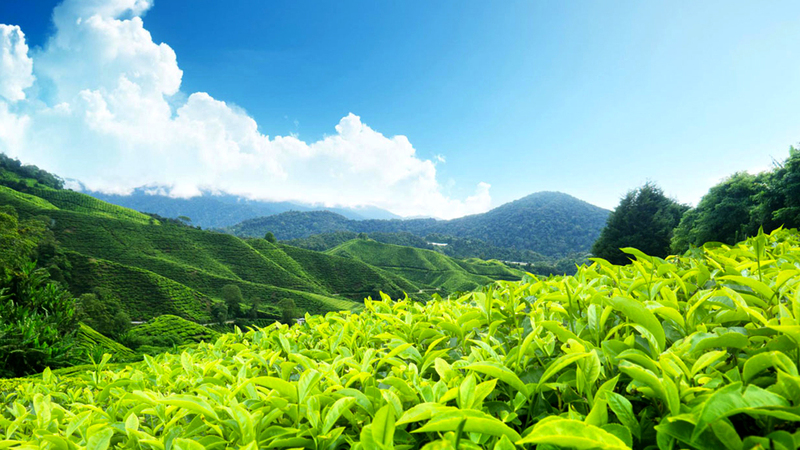 Winding roads that run through sprawling tea estates and quaint towns, waterfalls and mountain streams, thickly forested patches and high peaks draw several visitors here. Exploring the immensely beautiful surroundings, a trip to the Eravikulam National Park, boating at the Mattupetty Dam and a visit to the local Dairy farm, witnessing the waterfalls at Chinnakanal, trekking to Anamudi peak are but few things you can experience during your trip here. With the Neelakurinji flower all set to bloom in 2018, after a gap of 12 years the entire landscape is bound to be flooded with colour. This relatively peaceful town with a stunning beach, an impressive fort, plus luxurious accommodations replete with all modern amenities is a great setting for an intimate romantic escape. 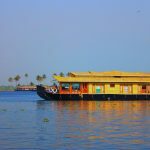 A houseboat cruise or a ferry ride across the picturesque and calm backwaters of Valiyaparamba nearby is bound to make the visit more enjoyable. 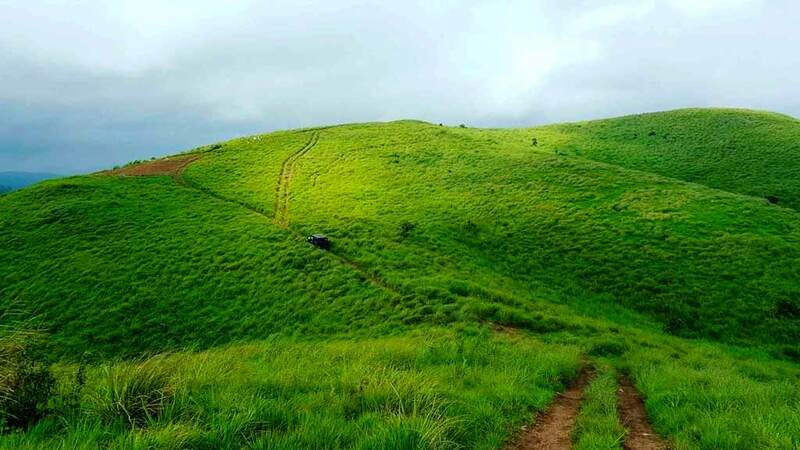 The serene and scenic setting of Vagamon makes a great honeymoon locale. Sprawling meadows, tea gardens, gurgling streams and forests bordering the landscape, this laid-back hillscape is a great hideout for honeymooners and solitude seekers who value their privacy. Boating at the lake created by the Idukki Dam and trekking through the plantations allow couples to spend quality time with each other. 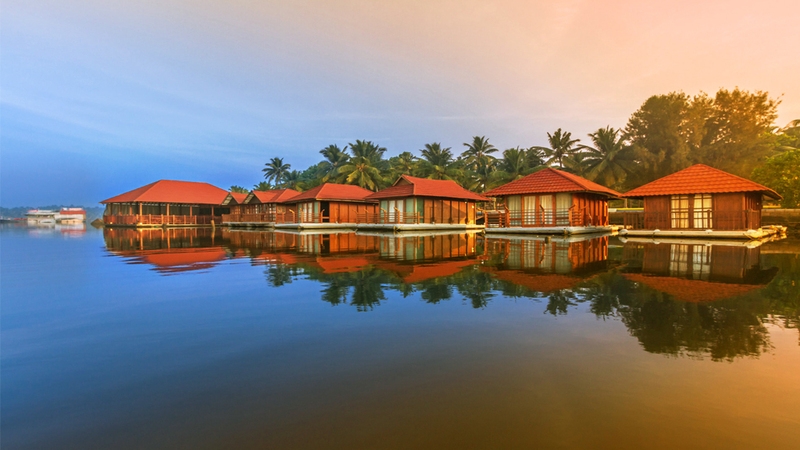 Lush forests, temperate climate, boat rides on the Periyar Lake, jungle safaris in the Periyar Wild Life Sanctuary plus great accommodation options ranging from luxury hotels to secluded tree houses, a honeymoon in Thekkady is ideal for couples who love to explore the diverse terrain, enjoying every moment of time spent together. Driving through idyllic villages such as Chellarkovil and long strolls across the vast spice plantations in Kumily are indeed a pleasure. 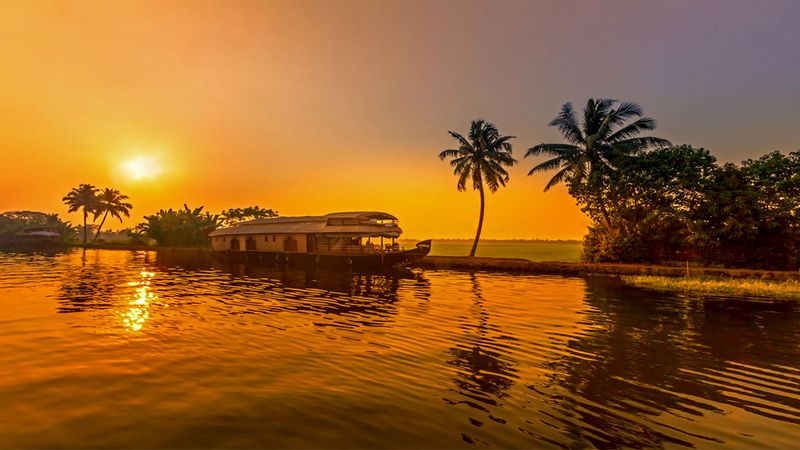 A honeymoon trip to Allepey is indeed incomplete without a boat cruise through the backwaters, catching a glimpse of the beautiful landscape bordering the entire course of the journey. Staying in one of Allepey’s famed houseboats is bound to make the trip more enjoyable. Impeccable decor, ultimate comfort, excellent service, total privacy plus guided tours and other special features are a part of special honeymoon packages. Sightseeing, entertainment and dining choices are aplenty as Allepey is a busy city. All you need to do is step out of your plush hotel and start exploring the place should you wish to experience the vibrant cityscape. This village is home to the popular Marari Beach, a scenic beach with luxury resorts housing guests in traditional cottages, replete with all amenities including a private pool. Honeymooners can also visit the beach at Allepey and cruise the scenic backwaters, apart from exploring the Cherthala town closeby. 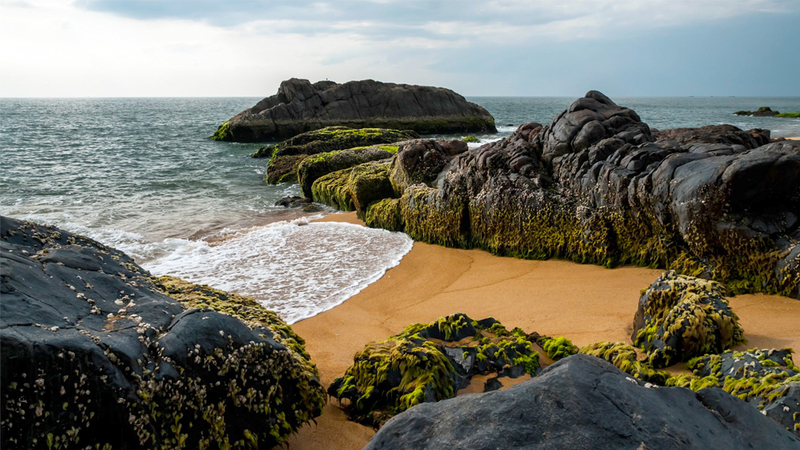 A visit to the stunning, uninhabited, Pathiramanal island is sure bound to be an enjoyable experience. The natural beauty of the place, cobbled paths, the views and glimpses of migratory birds are simply awesome. 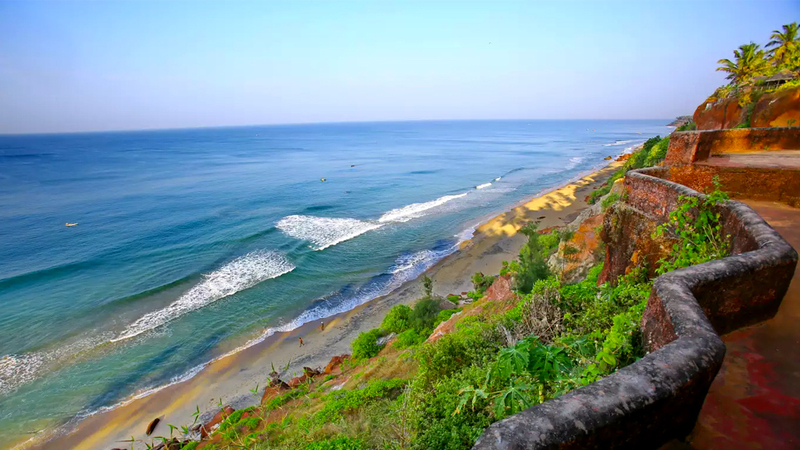 Yet another pristine and peaceful destination most ideal for a romantic escape, Varkala is just an hour’s drive from the capital Thiruvanthapuram. Honeymooner’s are welcomed by the captivating settings of the Papanasam beach bordered by rocky cliffs and natural springs with healing properties, the serene Kappil Lake estuary bordered by coconut groves, and the dimly lit 900+ feet long Varkala tunnel usually explored on small boats among other attractions nearby. For the religious minded, a visit to the 2000-year old temple dedicated to Lord Janardhana nearby is bound to be auspicious. Honeymooning in the backdrop of Kerala’s largest waterfall in Athirapally is not a bad idea either. Nestled in the treehouse overlooking the falls, or in a luxurious suite in a nearby resort, surrounded by dense forests housing wild birds, it is but natural to lose track of time. 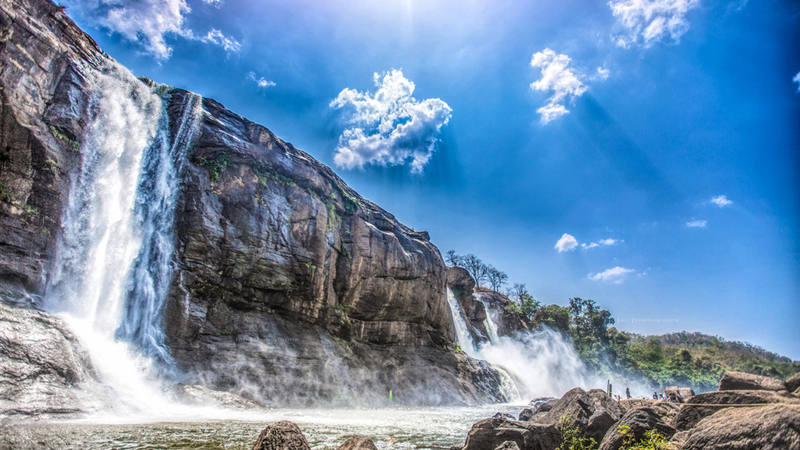 With an array of scenic locales such as Vazhachal Falls, Anakkayam, Charpa Falls and Vazachal Forest Gardns nearby, romantic strolls and guided trips ensure an enjoyable experience. A close tryst with pristine nature and wildlife awaits honeymooners in Nelliampathy, a hill station within the boundaries of a reserve forest. A winding road replete with hairpin bends run through the dense forests of the Western Ghats leads visitors to this destination. Pothundi reservoir dating back to the 19th century, Nenmara village, Palagapandi Estate housing a quaint Bungalow from British times, cloud-shrouded Nelliampathy Hills, Padagiri peak, Seetharkundu viewpoint and the captivating waterfall are but a few popular tourist spots that couples can visit here. 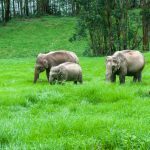 Exploring the Parambikulam Wildlife Sanctuary, quiet strolls along the spice and tea estates, boating at the reservoir or trekking through the terrain, Nelliampathy offers ample opportunities to spend quality time with your spouse during your visit here. Watch the cascading waters at Meenmutty waterfalls. 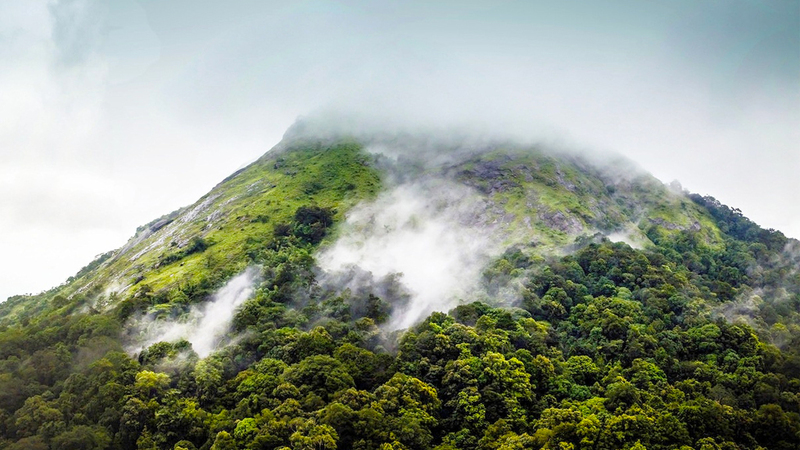 Rejoice at the sight of a mist-shrouded heart shaped perennial lake on your trek to the Chembara Peak, the highest in Wayanad. 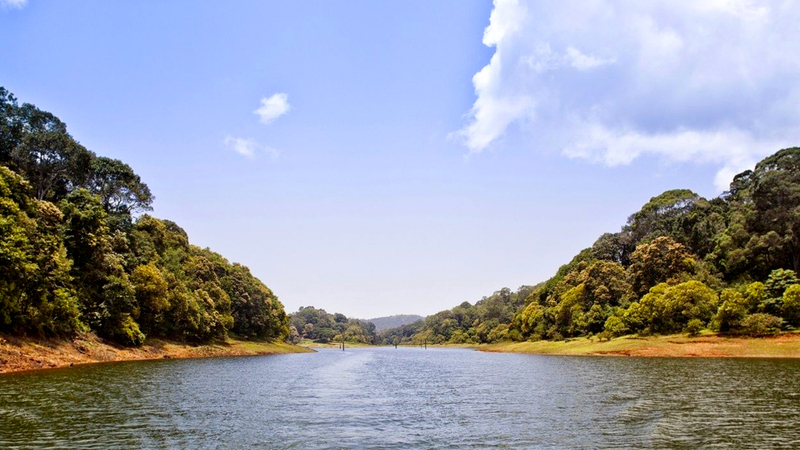 Explore the tranquil yet beautiful landscape of Kuruva Island. Thick vegetation, plantations, caves, waterfalls and luxury resorts make Wayanad an excellent honeymoon location. 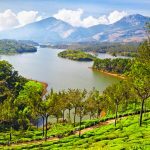 These are but some popular romantic spots in Kerala for honeymooners. 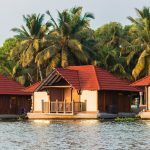 Almost all cities and remote tourist locations in Kerala are equipped with luxurious and budget accommodation options, as well as features such as Ayurvedic Spa’s and in-house restaurants. From special honeymoon cottages /suites / treehouses or houseboats to private dinners, guided treks and tours, and boating trips/cruises, a multitude of facilities are arranged on request. If you choose to make your own travel plans, there’s literally no dearth of options, as the entire landscape is a rich tapestry of nature that is anyway bound to make your trip more special. Pick your favourite destination and plan your visit accordingly. Take care to travel safely though, avoiding remote and offbeat areas after dusk.